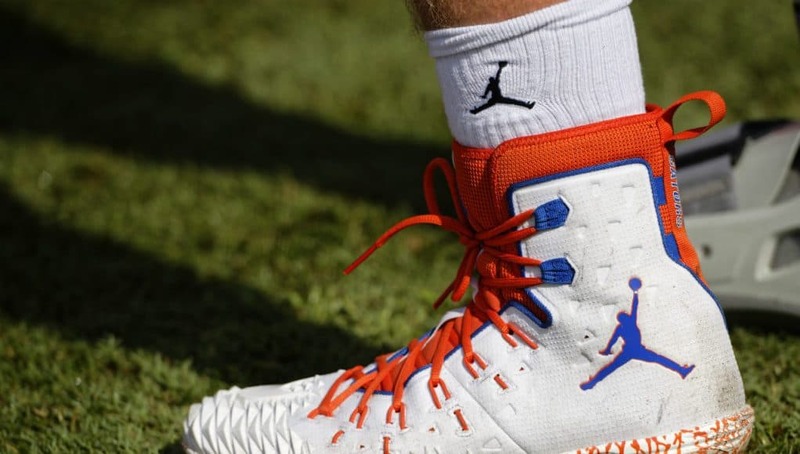 The Florida Gators have been enjoying their new partnership with the Jordan brand. As one of just four schools in the entire country — and the only SEC team with the partnership — it’s been a big recruiting tool for the school and they won’t soon let you forget the new marriage. The new marriage does have some apparent pitfalls. The University of North Carolina — Michael Jordan’s alma mater — was, naturally, the first school to adopt the brand. The Tar Heels were hit with NCAA sanctions in early August when the NCAA determined that 13 football players re-sold their team issued shoes. NCAA bylaw 16.11.1.4 reads: “an item received for participation in intercollegiate athletics may not be sold or exchanged or assigned for another item of value.” The rule applies to all student-athletes but Jordan’s, especially retro models, are timeless and have a high re-sell value. Add in the fervor of college football fans and the will of sneaker heads to pay top dollar for team-branded Jordan’s and you have a market with no ceiling. UNC will be without 11 players in their September 1 season opener against California, 10 in week two against East Carolina and eight against UCF and Pittsburgh. Just a week after the UNC sanctions were announced ESPN filed a report that the NCAA was investigating the University of Michigan —the second school to sign with Jordan brand —. ESPN reported that 23 pairs of team-issued shoes were found on the re-sale site Stock X. The report also mentioned Marquette and Cal as schools that were being investigated. Jim Harbaugh addressed the situation and investigation with a firm “no” when asked if he believes any of his players would suffer a suspension for selling their team-issued shoes. Michigan marks each shoe that is issued to a student-athlete and the box (something that having would raise the value of the shoe) isn’t given with the shoes. Players are also told and made to sign a letter acknowledging that they were told and know that re-selling these shoes while still on scholarship is a NCAA violation. Coaches and players who have graduated or are no longer on scholarship are free to do with the shoes as they please. 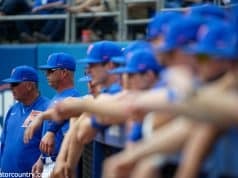 What does this mean for the Gators? Florida and Oklahoma are both in their first years with the company but the education needs to start now in order to avoid falling down the same path as North Carolina. At SEC Media Days Florida displayed every retro Jordan in a Florida colorway. These shoes won’t be sold but could, at some point, be issued to players. Still, Mullen admits that it’s hard to monitor what the players do at all times. The relationship with Jordan has been roses for Florida. They’re able to tout an exclusive gear and sneaker deal that no other school in the SEC can match. The players love the brand and the gear, even if a basketball player dunking looks funny on a football uniform. All Mullen can do is educate his players, show them what is happening to the players at North Carolina and the investigation at Michigan to try and stray them away from what could be a quick buck to sell some sneakers they got for free.